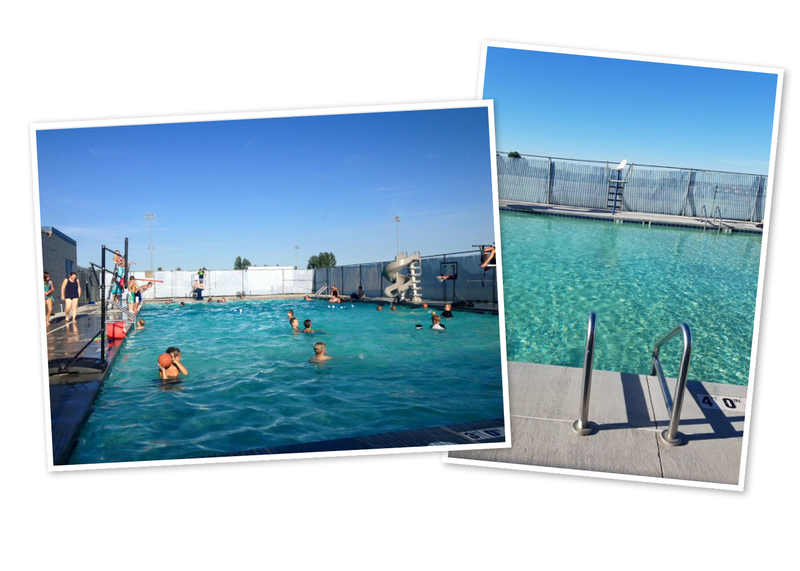 Community pools are a staple of any neighborhood. The overly-chlorinated water, the lifeguards in bright red, yelling “No Running!”, the smell of sunscreen and hot dogs from concessions. For many, it’s the epitome of carefree summer days, escaping the heat in the cool blue water with friends. Such is the community pool in the small town of Steele, North Dakota. This is where Dawn Dewitz, a Loan Operations Specialist at Choice Financial, serves as board President. As President, her duties include a variety of things; making sure the pool is maintained, assisting the manager, when needed, in organizing classes like Mommy and Me, Guppie Classes and Water Aerobics, and perhaps most importantly, ensuring there are enough funds to keep the pool running. Part of ensuring the pool stays funded is organizing the annual fundraiser for the girls’ volleyball tournament. This fundraiser started last year, and helped cover pool costs by selling snacks and soda to the kids and families cheering on their volleyball rockstars. It takes a lot of organizational work but brings in a lot of funding. This year, the board hoped to raise funds to provide seating for the otherwise chair-less pool. With money from the fundraiser they could buy lounge chairs, along with a few more things like equipment for the water aerobic class. In the days leading up to the event, Dawn was swamped. Not only is she full-time at Choice Financial and President of the Steele Swimming Pool board, she’s also a full-time mom to three kids — one of whom plays in the volleyball tournament. As the day drew closer, she realized she was going to need some extra help. So she turned to the team she could always count on. “I went to my Choice team and said, I can’t do this alone,” Dawn said. Her teammates, Linda Rudolph, Mark Sand, Renae Kennedy and Lisa Zimmerman, were available and all agreed to help right away. “We’re happy to help out a friend and a colleague,” Mark said. The team spent time baking bars and providing popcorn and candy for the event. That day, they went through 15 pans of bars and bucketloads of popcorn, soda and candy. The tournament started at 3:30 PM, and by 8 PM when it was over, everything was gone. And with it, $1,000 was raised for the Steele Swimming Pool. 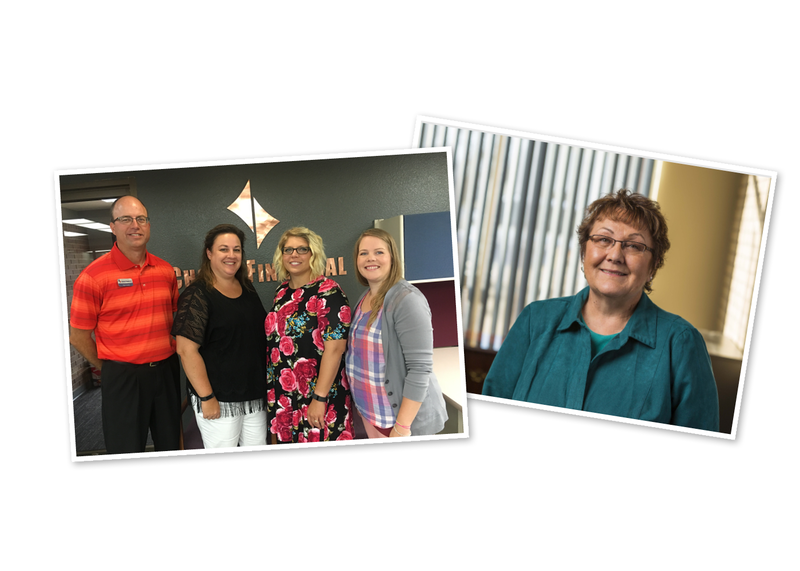 Dawn sees the team effort as part of bettering the places we live, a core value at Choice Financial. “We’re trying to keep the pool open for the kids,” she said. “Without my team’s help, we couldn’t have pulled it off as smoothly as we did.